It’s sunny and I want to hoop! But alas, I am doing homework. What kind of homework? Well, I’m going for an amazing job with Maker Media and have been learning about the importance of social media presence in order to pop out among the possible candidates. Since I’m proud that I started a podcast from scratch and publish it on iTunes, I feel it’s worth a little bragging on this public platform. Yay, me! I have two interviews ready to assemble. One is with the the lovely and captivating Caterina Suttin and the other is with my Grimm co-extra, Karma! 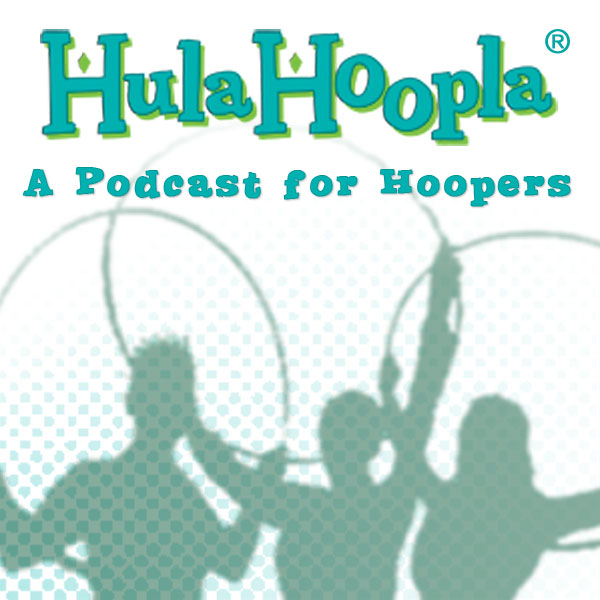 Just did another amazing interview with Alex Truex of Dutruex Hula Hoops. But alas! The recorder crapped out – no file found. Drat! We’re rescheduling. Next steps – polishing this website, getting sponsors and advertisers and better recording gear. It’s World Hoop Day 11.11.11! Well, it was when I recorded this anyway. We had a great turnout for our fund raising hoop jam. In this episode, I pull a handful of hoopers out of the studio during the event for a little one-on-one. Meet hooper extraordinaire, GroovinMeGzz, a few of my very enthusiastic students and get a male perspective on hooping. Our goal was to raise $500 for WorldHoopDay.org and we made it to $200…that’s still great! So I’m gonna try the podcast thing. I’ve recorded and interview and an introduction and am about to embark on learning how to add music and fix the levels, etc. Yay! Of course right off the bat I screwed up on my introduction and said I won a bottle of TEQUILA in a hooping contest. It was KAHLUA! Fingers crossed that I pull this off and have a podcast for hoopers debuting on iTunes on 11.11.11 – World Hoop Day! In the mean time, I will do my best to add it to this blog and on my website.